Perfect for fun summer dining! 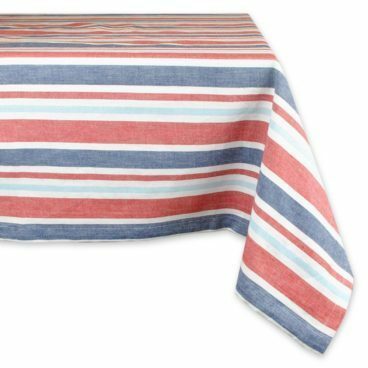 Order the Patriotic Stripe Tablecloth 60″ x 84″ for Just $21.59! (Reg. $27) Other sizes available. Regularly $26.99, just clip the 20% off coupon under the price!